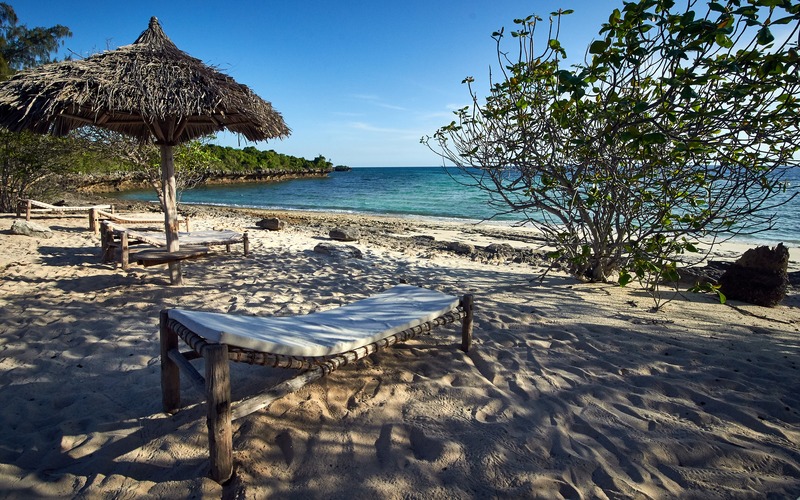 After a week spent at Melia Zanzibar, we moved for two nights in Chumbe Island. 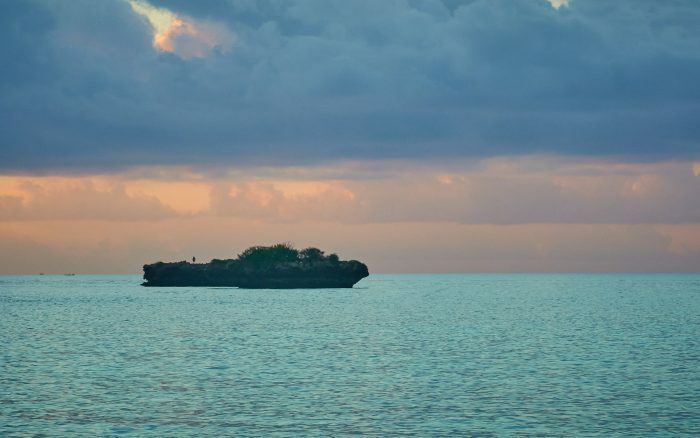 The name will probably say nothing to you and to be honest nor I have heard of this island until my husband informed me one day that he discovered a protected island, flanked by a massive coral reef, not far from Unguja (the main island of Zanzibar). 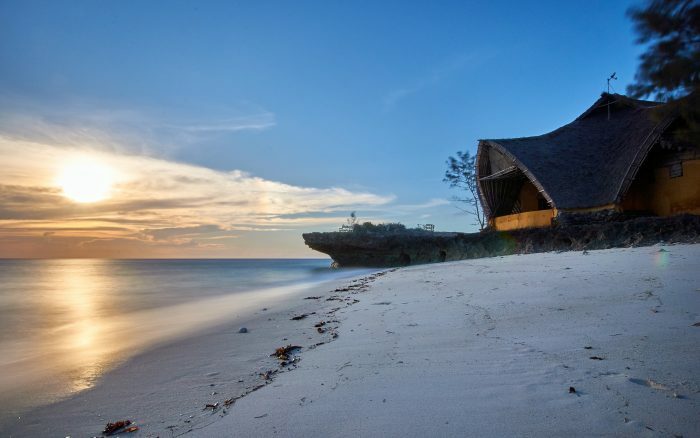 Being a great snorkeling lover, he went on investigating the best locations in Zanzibar and by chance, he came across a TED Talk, where the founder of this project shared the story of the huge importance of the Chumbe ecosystem and the entire plan for sustainable tourism in the island. He sent an email and asked if they had availability for the period we were planning to travel, and the next day we got the answer. Affirmative. 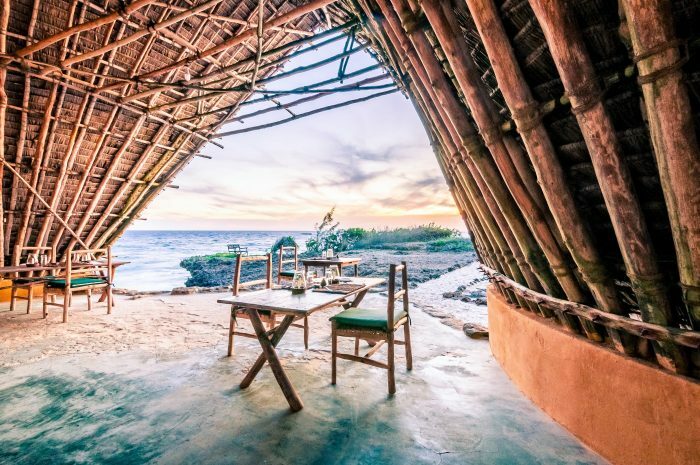 At first, I was slightly skeptical, and not because the location didn’t convince me, but the idea of staying two nights on an island with only 7 bungalows, no doors, and no windows, gave me a little shiver down my spine. 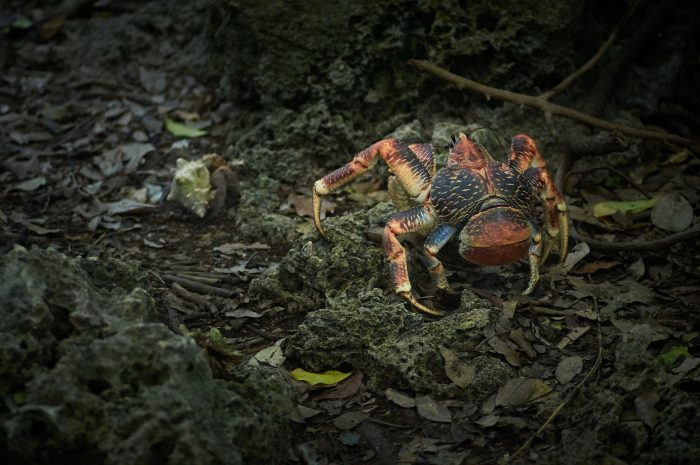 I do not even need to say that I am not exactly the bravest person in the world, and when I read that many species of crabs (including the giant coconut crab ), lizards, snakes and other such creatures inhabit the island, my enthusiasm has diminished considerably. Eventually, I surrendered to my husband’s enthusiasm. And what a smart decision that was! 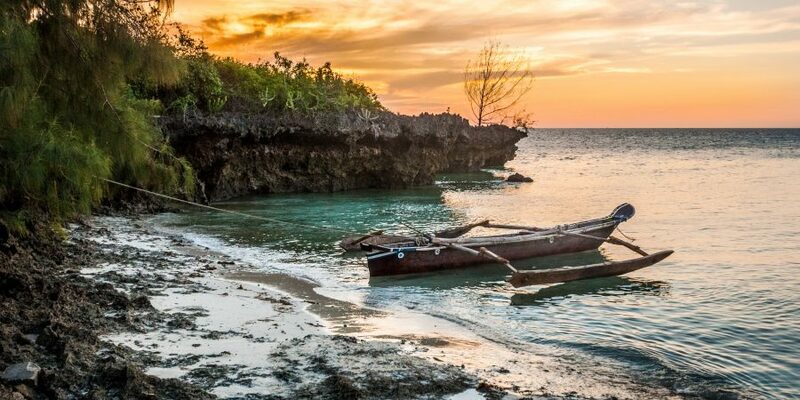 Chumbe Island can only be reached by boat. The boat leaves once a day at 10 in the morning, from the little dock at the Hotel Protea Mbweni Ruins in Zanzibar City. The journey takes about 45 minutes, and once you step into the island you start to understand why this place is so amazing. We were greeted by Vera and Matata, who explained to us in detail about the entire project and the activities of the day. At 11:30 we went snorkeling, accompanied by Matata, a great connoisseur of coral and fish species that have their habitat near the island. With the safety jacket and holding his hand, I entered the water and for an hour through the snorkeling goggles I watched mesmerized the underwater creatures living in the Indian Ocean and the huge coral reef flanking Chumbe. Turtles and fish of all colors and all sizes passed indifferently past me, while, just like a child, I stared fascinated, forgetting for about an hour of my fear of water and of the fact that I was floating in the ocean, without properly knowing how to swim. After this foray into magic, I was rewarded with a copious lunch: octopus cooked in coconut milk sauce, chocolate cake with coconut flakes, accompanied by ginger tea, coffee or, for those who love spices, the “spicy tea” made from cinnamon, cloves, ginger, and pepper was also an option. In the afternoon we kept exploring, this time on land. 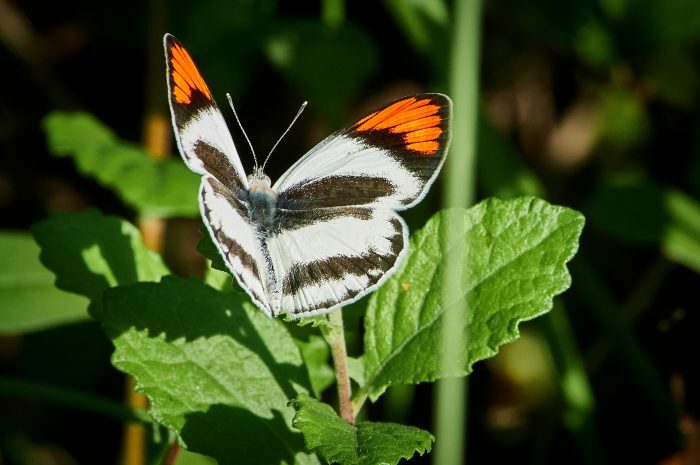 Chumbe, despite its small size, enjoys an ecosystem very well protected, being almost entirely covered by forest. A forest so dense that it is almost impossible to walk through. 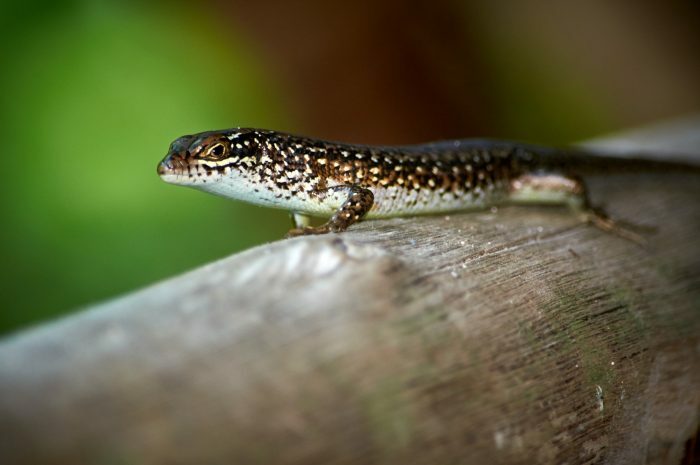 Biologists working to protect the island have still managed to fit a small circuit of about 45 minutes, which you can easily access on foot and along which the visitors have the chance to see dozens of species of plants. Among them, some have been used for centuries in Africa to treat various diseases, to stop bleeding or to produce natural fragrances. Some species are poisonous and it’s good to know them, to avoid the contact. A mangrove forest also has its habitat here and fulfills a vital function for the entire ecosystem in Chumbe. 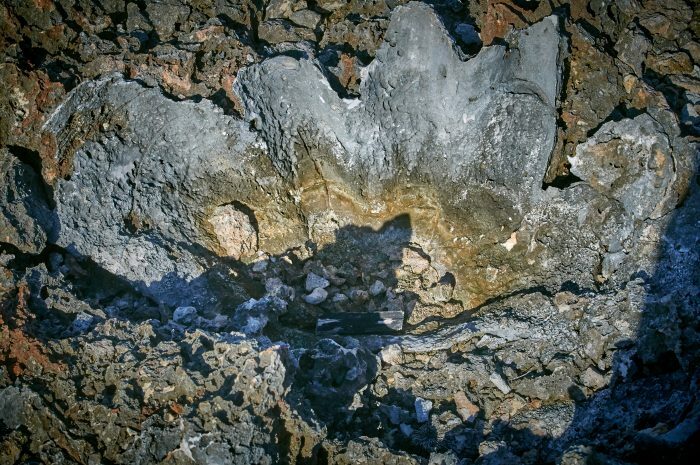 Being a coral island built out of the sea, you also get to walk past huge fossils of shells or corals, witnesses of fascinating geological evolution. Our first day in Chumbe ended with a lazy walk on the beach, and after dinner, the bravest ones (do not count me in!) were equipped with flashlights and went to walk the “route of the coconut crab”. The coconut crab is the largest crab species known in the world that can reach a weight of over 4 kg and a length of about 1 m (measured from foot to foot). Unfortunately, it was hunted to extinction in many parts of the world (eg Australia or Madagascar), but it can still be seen in some islands in the Indian Ocean or the Pacific Ocean. In Chumbe, the naturalists estimate that the number of this giant arthropod rises to 1,000. Obviously, here the coconut crab hunting is prohibited. Chumbe is also the only area in Zanzibar where the coconut crab still survives. 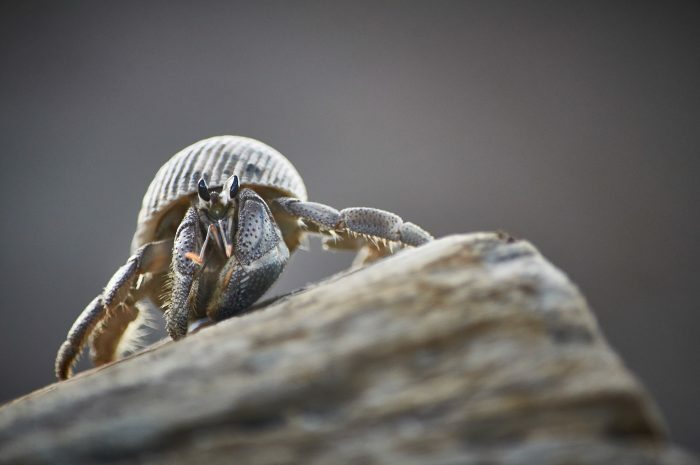 Coconut crabs are hiding during the day but do come out in search of food after dusk. This is why “the crab walk” adventure only begins in Chumbe after 8 pm. I was lucky enough to see a few coconut crabs in front of the reception and, wow… they’re huge! Did you know that, although they are born in the water and hide under borrowed shells in the early stages of their lives, they abandon their shells as they grow older and, most importantly, they lose their ability to swim. Moreover, the coconut crab will drown if placed in water. 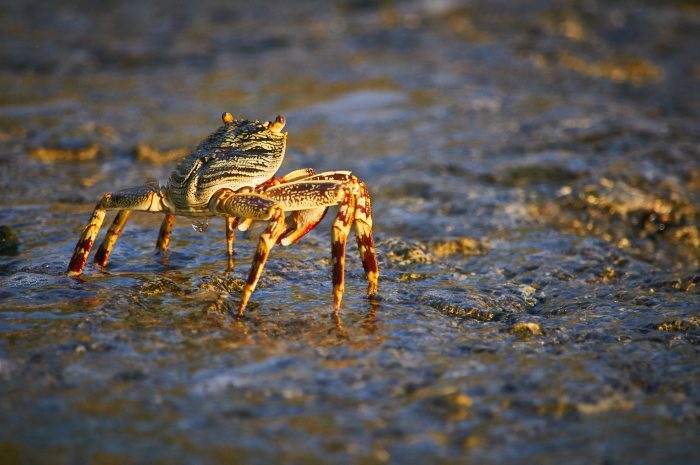 The life expectancy of this curious crustacean is about 60 years. It may climb up for about 10 meters and then descend in free fall. Surprisingly enough, it can survive a fall of about 5 meters unharmed. Needless to say that the team working in Chumbe is made up of people who are really passionate about what they do. Vera, the manager of the island, is a Kenyan who completed her studies in Germany and has been living in Chumbe for 4 years, effectively managing tourist activities, conservation and research. She loves the island and when I asked her if she was not afraid to live in Chumbe, she told me that she got accustomed to its tranquility and to the surrounding nature. Her house is isolated in one corner of the island, where she lives alone. She told me with a laugh that some of her colleagues, who live together, asked her the same question. Vera is incredibly friendly and it’s always a pleasure to talk to her. She told me about the educational activities they organize in Chumbe, bringing in fishermen and residents from nearby islands and educating them about the importance of the ecosystem and the need to protect it. Local women with different ages, some even over 50 years old, participated in these courses, and some of them had the opportunity to go snorkeling for the first time in their lives and see the wonders underwater. 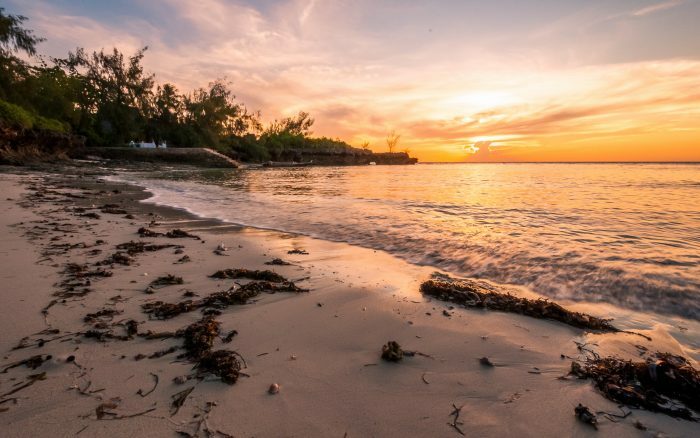 The island does not receive any funding, and tourism is the only source of income that covers conservation, salaries, and all other expenses. I asked her if that was enough and Vera replied with a smile that yes, she carefully handles the money that the tourists pay to stay on the island. She thanked us many times for coming to Chumbe and assured us that our contribution was highly valued. I do not have enough words to recommend you to go to Chumbe Island. Vera will be happy to receive you. And if by any chance you go, please, do thank her once again, on my behalf, for the warm welcome, and for all her dedication.